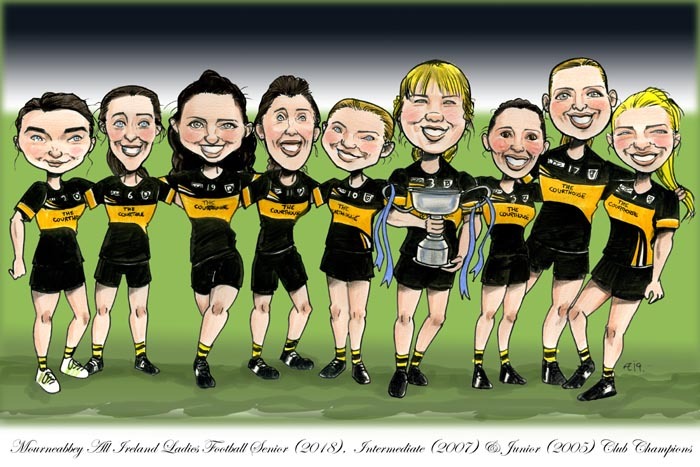 Here’s a team caricature I drew of Mourneabbey Ladies Football Senior All Ireland Winners 2018 for their recent victory social night. 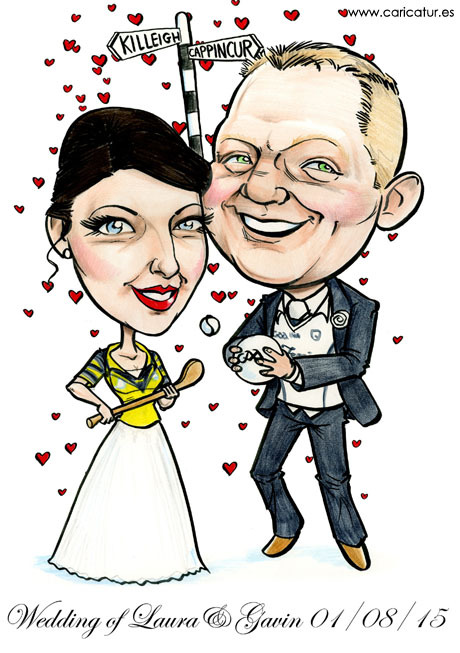 GAA themed weddings feature heavily in my many caricature commissions over the years. I’ve assembled some samples here from the archives to give you an idea of how adaptable my caricatures are. 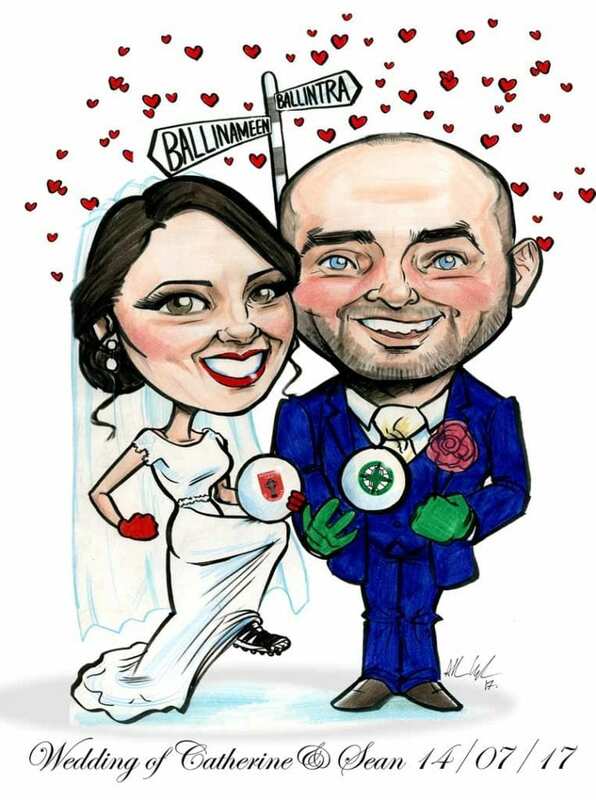 This couple got kitted out in their GAA strips for their wedding caricature!